With O&O MediaRecovery you can recover deleted photos that captured those precious moments; last year’s vacation, the day you got married, or the first pictures of your children. If those irreplace-able memories are deleted it no longer has to mean they are lost forever. And O&O MediaRecovery doesn’t stop there: it can also recover your favorite songs and videos, simply and quickly, and all with just a few clicks of the mouse! O&O MediaRecovery was primarily conceived for recovering data from removable drives such as MP3 players, digital cameras, memory cards (e.g., SD, MMC, xD as well others), hard disks, and, of course, devices such as the Apple iPod. 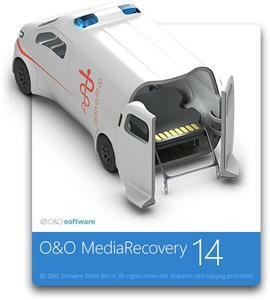 Simply install O&O MediaRecovery on your computer and connect the storage volume on which you wish to recover data. After the program starts, the O&O MediaRecovery wizard guides you step by step through the recovery process so that you will quickly regain access to your lost data. After completion of a scanning process, you can view the files that are capable of being restored. The preview function of O&O MediaRecovery supports most picture formats, including JPEG, BMP, and TIF. The fact that a preview is not available for some files does not rule out the chance for a successful and flawless restoration of those files. This function should not be seen as a way to judge the quality of a pending restoration, but rather as a means to make the file identification process easier. O&O MediaRecovery combines the powerful search processes of the hugely successful data recovery products O&O DiskRecovery and O&O UnErase. These search algorithms apply different technologies to locate data in nearly all scenarios, and can be used together or individually. The algorithm from O&O UnErase is best suited for quick data rescue. The algorithm from O&O DiskRecovery scans every sector of a volume for recognized file signatures and it can reconstruct data from them even when the entire content directory of the volume has been deleted or overwritten. Data images created by O&O DiskImage are also included in the data rescue processes. To prevent a data loss through defective hardware, a forensic image can be created using the separately available O&O DiskImage. This comprehensive image also saves the (assumed) free disk space so that a full data recovery can be carried out later without touching the original hardware.